Huangling National Forest Park is 40km away from the southwestern Huangling County, north Shaanxi, which is called a green pearl on the loess plateau, it covers a very large area of 43,580,000 sqm. 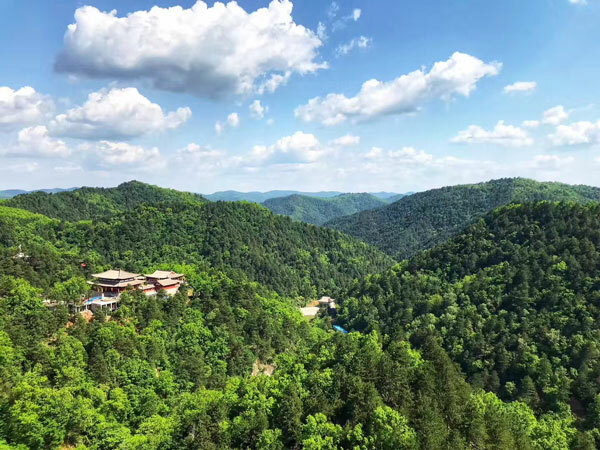 Meanwhile, it is located in the Meridian Mountain hinderland, it is an important scenic spot along the Meridian Mountain tourism line, it is also the combination point of Yellow Emperor cultural tourism circle and Meridian Mountain tourism line. There are two main areas, north area and south area. We decided to hike to Zi’e Temple. The scenery is also good. This is really a good scenic spot worth visiting. It is my first time to experience glass bridge and viewing platform, it was really thrilling and exciting to walk on the ridge.